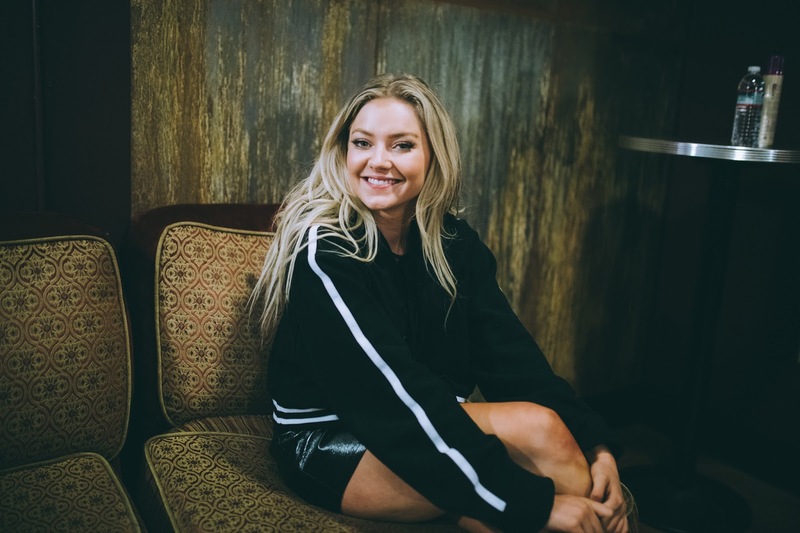 Hailing from the beautiful country of Norway, Astrid S has been blazing her own trail on the music scene and is only 20 years old! You may know her from her hit singles “Hurts So Good” or “Running Out,” or from her current tour with Troye Sivan, and if you haven’t heard of her, it’s about time we fix that. Astrid S’s sound is truly like no other on the radio. Her voice’s clear tone floats above hypnotic techno beats and delivers her lyrics from a place of pure honesty. Not to mention that when performing live, the unity between her words and her voice is ethereal as she shares her art with the audience. Music was always a part of Astrid’s life, whether it was her parents playing music everywhere they went or the piano lessons she took starting at the age of 5. However, what truly sparked her interest in music that would one day become a career was the Keane album Hopes and Fears. Purchased before she could speak English, it was intriguing to her that she could still experience such strong feelings and connections toward the production of music, even if she couldn’t understand the words. This kept her listening for years until she began to write songs of her own, originally inspired by John Mayer. In all honesty, Astrid admits that the majority of her songwriting process takes place in the bathroom, on flights, or even in Ubers! Inspiration surrounds her and she is always ready with a pen in hand to write down her thoughts and feelings to transform them into a work of art. She joked that lyrical or melodic inspiration often strikes her at the most inconvenient times, like when she is in the shower, and she will have to get out quickly in order to take notes before she forgets. Her subject matter typically covers various aspects of the teenage experience, from partying with friends to the magnetic pain of love. While acknowledging that she is too old to get away with some things, she also knows that she is still too young to know it all. In terms of quality, Astrid remarks, “For every ten songs I write, there’s a good song, and for every tenth good song, there’s a great song... I want those great songs on my album.” This work ethic and determination truly shows in the quality of her releases. Astrid is no stranger to today’s music landscape. After earning a finalist spot on Norway’s Pop Idol in 2013, she quickly catapulted to stardom. She spent that summer touring, then when school started, she juggled her responsibilities by travelling to Stockholm to work with songwriters and producers on the weekends. Some of her proudest accomplishments so far in her career include collaborating with Shawn Mendes on his debut album Handwritten as well as touring with Troye Sivan, who she is admittedly a huge fan of. She also won an MTV EMA award as Best Norwegian Act. Astrid’s upcoming ambitions include a second EP, as well as hopes of one day touring to Brazil, Australia, and New Zealand. She actually just released a new live single titled “Jump” at the end of October which is really worth a listen. Stay up to date with Astrid on all social media at @astridsofficial.